When it comes to dining, it’s the big cities that understandably get most of the attention. But in Alberta, great food and drink can be found in every corner of the province. Here are five spots to check out next time you’re in the northwest. Many people know Hinton as the last stop on the highway before Jasper, but you’ll want to stick around even longer once you get a whiff of this cafeteria-style Mexican cantina, which has served up mouth-watering, family-inspired dishes since opening in Hinton’s Valley District in 2017. For more adventurous palates, Rojo Marrón offers a half-dozen homemade hot sauces, each ranked on a pepper scale of 1 to 5 — including two extra-spicy varieties that are only available upon request. Try them all, if you’re up for it, and if you love the creamy jalapeno (#4 on the RM scale) as much as the rest of their loyal customers do, you can buy your own bottle to take home at the end of the meal. Next time you’re in downtown Grande Prairie, you won’t mind staying late at The Office, an elegant, innovative restaurant located in the lobby of the Pomeroy Hotel and Conference Centre. In addition to a wine selection that brought home a 2018 award of excellence from Wine Spectator magazine, chef Alexander Herbert offers a range of rib and steak specials for the carnivores in the house. Every Thursday is two-for-one prime rib night, while on Fridays and Saturdays if you order one 10 oz AAA Alberta striploin steak, the second one is on the house. Prefer seafood? Pop in on a Sunday and feast on their brunch loaded with mussels, shrimp, fish, smoked Pacific salmon, and maritime seafood chowder. This beloved dinner spot in Grande Cache’s Pine Plaza specializes in fresh, homemade dishes and its own brand of northern hospitality. Whether you’re looking to build your own custom burger, complement your appetizer with a from-scratch salsa or salad dressing, or just go for broke on Wednesday wing nights (where $6 gets you a full pound), The Ridge does not disappoint. And its friendly pub atmosphere doesn’t exclude minors, either: kiddos are welcome until 9 p.m. each night. This hidden gem of a B&B, which was first established just east of Jasper National Park in 1935, offers a unique take on both sides of the concept. 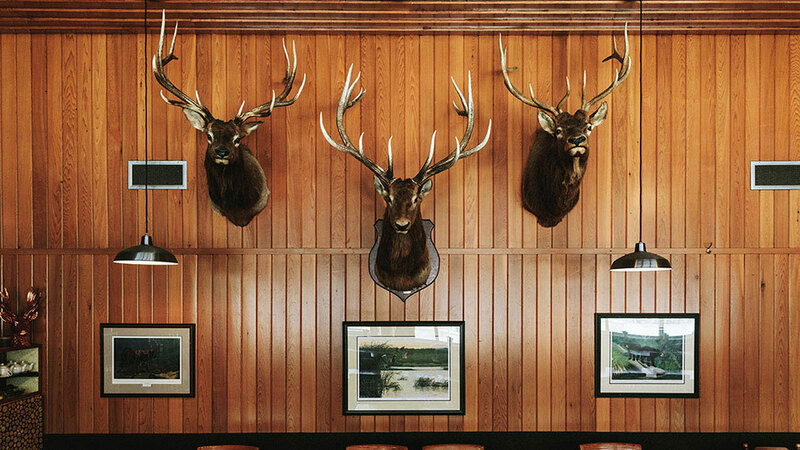 The old-school Alberta accommodations, inside a cozy wooden lodge complete with taxidermy, full fireplace, and the best lending library for miles around, are hard to beat. The food is no different. Black Cat’s family-style buffet breakfasts vary from day to day, but typically include heaping plates of pancakes, sausages, eggs, pastries, fresh fruit, and other goodies. The highlight is definitely the breakfast crumble, a sweet and sticky fruit crumble served with scoops of whipped cream. “When we stopped serving dinner, we still wanted to serve dessert,” says owner Amber Hayward. “So now we just have it at breakfast.” You just can’t argue with that kind of logic.